Anticipationofo the mountains of the Swiss Alps. Arriving and feeling at home – that’s what your holiday in the Superior 3-Star Hotel Alpenblick in Zermatt is all about. With a history that stretches back a century, hospitality in our hotel is natural. This is also reflected in the ambience of the entire hotel. You can switch off completely here and enjoy the best days of your year to the full. 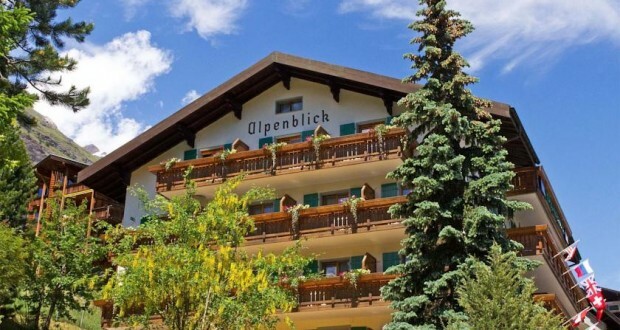 We are situated in a quiet location only a 3-minute walk from the famous Matterhornbahn Paradise Bergbahn cableway, which also takes you to the Riffelberg in winter, then on to the Gornergrat.